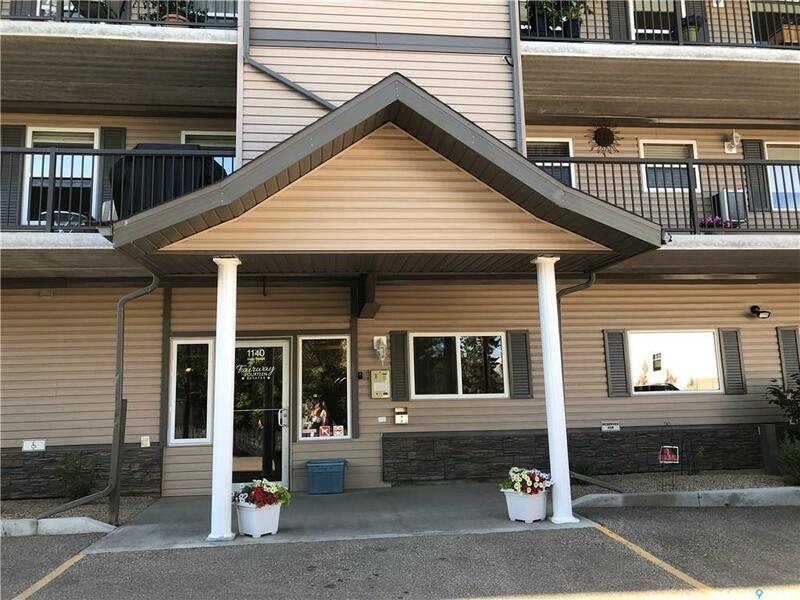 Perfect home for senior or single/couple adult living in Fairway Fourteen condominium for sale in Humboldt, Saskatchewan. There may only be 1 bedroom but it sure enhances the extra space in the entertaining area!! 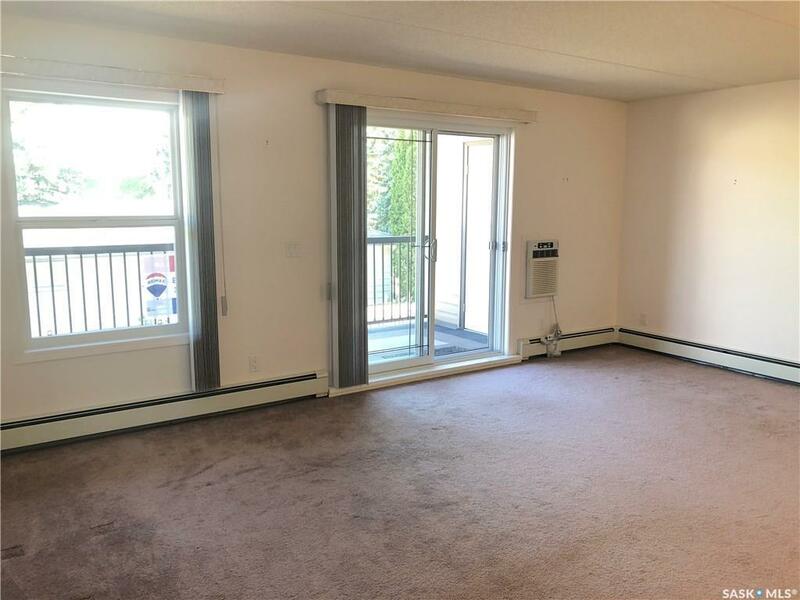 Very large 18 x 13 living room with patio door access to south facing balcony (natural gas BBQ hook-up) with 2 storage units and all shelving included. Open to oak kitchen package with fridge, stove, microwave hood fan, dishwasher and garburator with plenty of room for a large kitchen table. 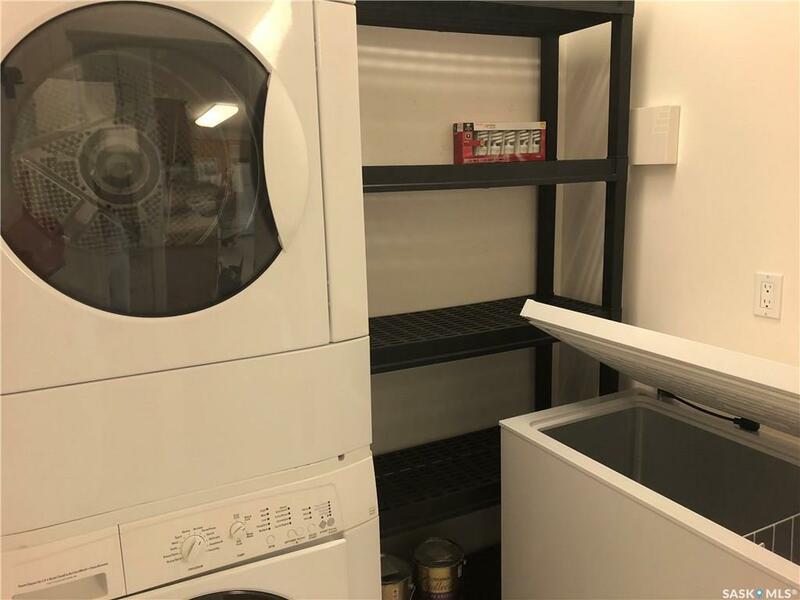 Off the entry is in-suite laundry (washer & dryer included) with shelving & freezer. Nice size linen closet down the hall to the 3 pc. bath (walk-in shower) and large master bedroom with extra storage/den area. The unit offers 1 ground level heated parking stall. Exercise room available and great common area to meet up for coffee or to entertain large family events. Call an agent to view. 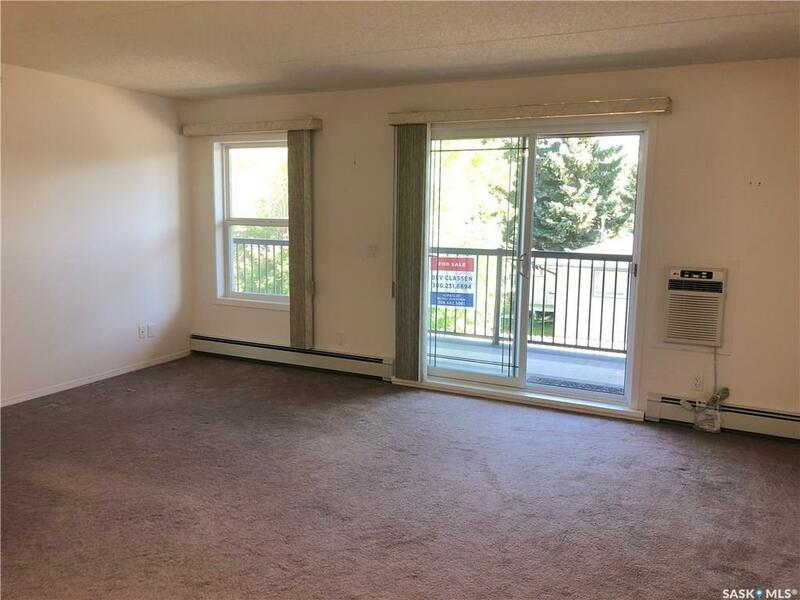 The best priced condo in Humboldt! !